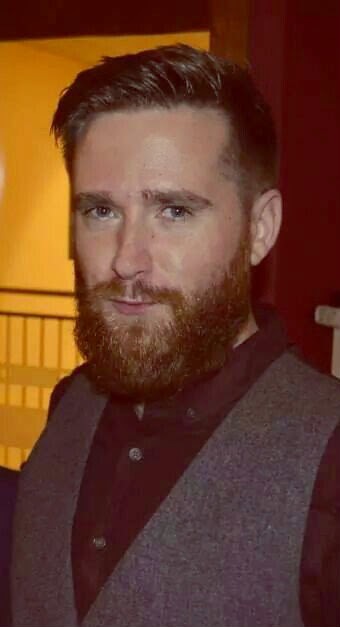 A year ago I wrote a wee post detailing some pointers I had picked up along the way as one of the bearded brethren. Writing what I knew then, I gave some basic rules and ideas on maintenance and grooming of your facial fur. 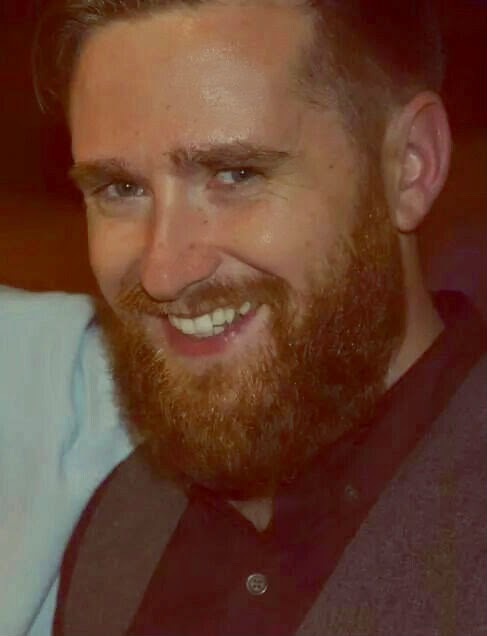 I, along with my chin, have matured since then and my beard grooming practices have evolved so I thought I would write an updated version. I haven't really trimmed my beard since around April except for the odd wayward strand so it's never been longer or fuller. 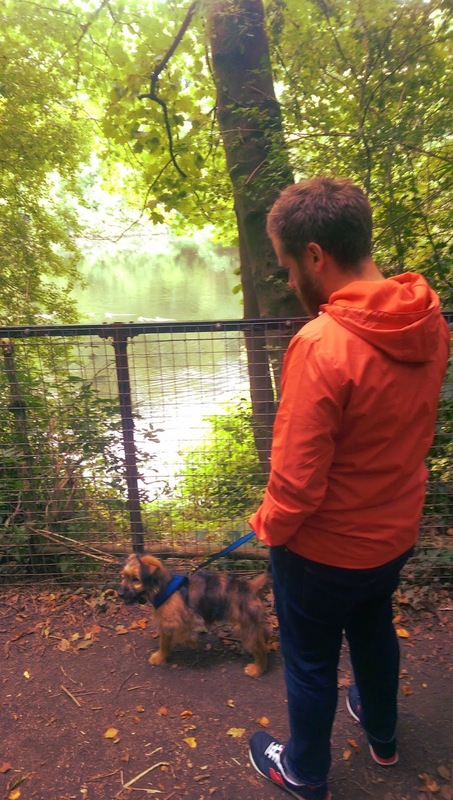 To paraphrase Spider-Man's Uncle Ben with great beard, comes great responsibility... So in addition to the basics (which I am sure you have undoubtedly refreshed yourself with by re-reading the post I linked to above) here are a few more tips for keeping your beard at its best. What Lies Beneath. I touched on this last time but as I have discovered, you need to make even more of an effort when your hair beard gets longer to prevent the dreaded beard-druff flakes. I use Lush Ocean Salt scrub once a week to slough away dead skin under the hair. I apply it dry before I get into the shower and then give it all a thorough scrubbing. You'll need to replace the moisture lost by stripping away all that grime, so when you're applying your usual moisturiser, add a bit more for good measure and work it into your chin skin. Feed Me Seymour. Men are learning (slowly) the importance of skin care and grooming so while you apply moisturiser to your face and body and condition your hair, don't neglect your beard. If anything, it needs it more. While washing my hair, I apply OBSCENE amounts of conditioner to my beard. As I can spend up to 30 minutes having a shower and the conditioner is applied at the start and it's the last thing to be rinsed off; this is plenty of time to allow it to do its stuff. My opinion/budget on conditioner remain the same - if it costs more than a quid, it stays on the shelf. R-E-S-P-E-C-T. Just because it feels tougher, doesn't mean you can be too rough with facial hair. Pat it dry it dry when you're out of the shower. Invest in a comb. (When I say invest, go buy one from the chemist.) It will keep tangles at bay, preventing it from feeling tight and also help train any unruly growth . I get bed-beard as much as I get bed-head and find I need to comb my beard more than my hair. I occasionally apply a little pomade if it's being particularly difficult. 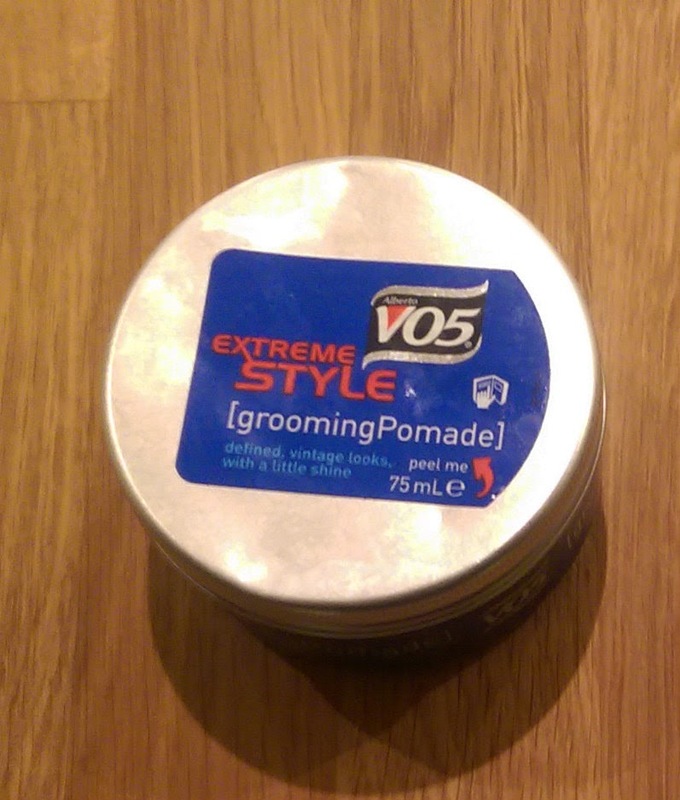 While VO5 extreme style grooming pomade isn't really strong enough for my thick head hair it can help tame some straggly beard whiskers. Oil Be Back. If you are feeling even more indulgent, treat your facial foliage to some beard oil. 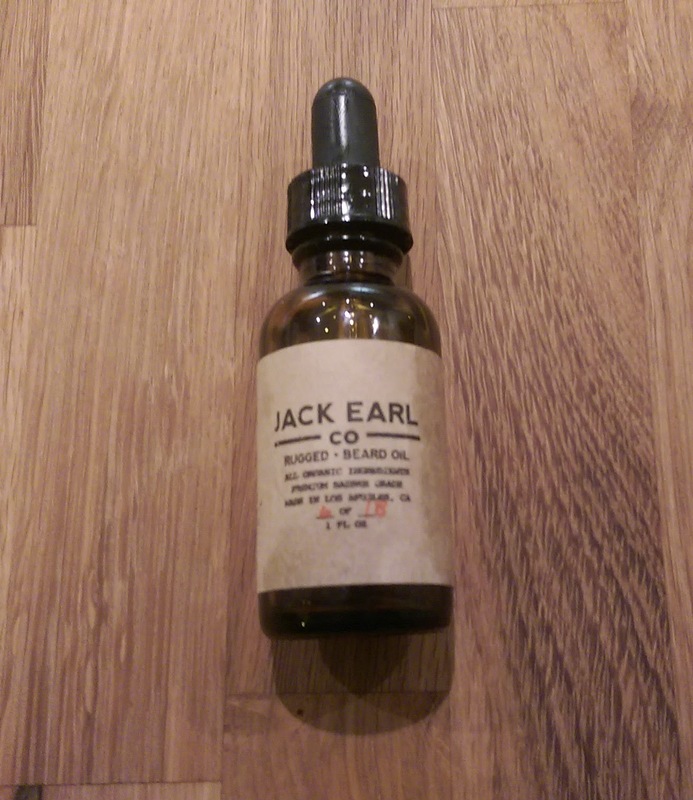 I picked up Jack Earl Co rugged beard oil from Welcome Stranger while I was in San Francisco. Apply it directly after a shower while your beard is still damp and warm (sounds gross) and your beard will literally drink it up. Initially, I had been applying it like hair product to dry beard hair but I discovered the oil can just lie on the hair and feel heavy and a bit greasy. It has an intense woody scent so you don't need to apply cologne. Yes, this sounds a little contradictory; although I don't shave, I still use aftershave. Happy Septembeard my facially hirsute rogues! If you have any additional tips or recommendations, please leave me a comment below. 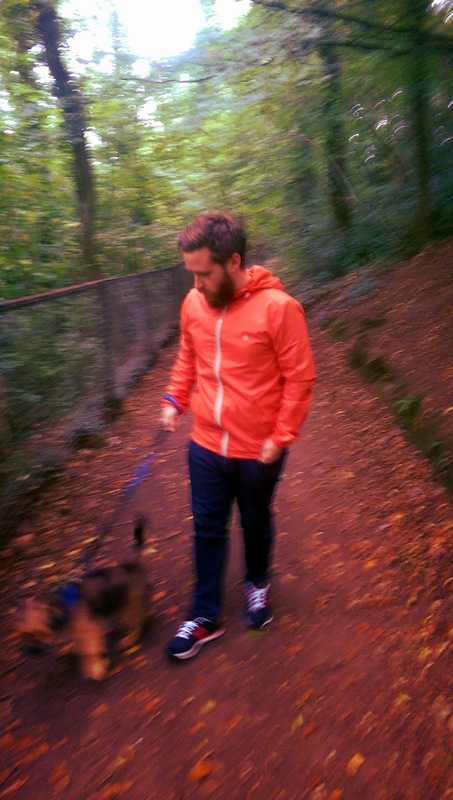 Are you pursuing the way of the beard this autumn? 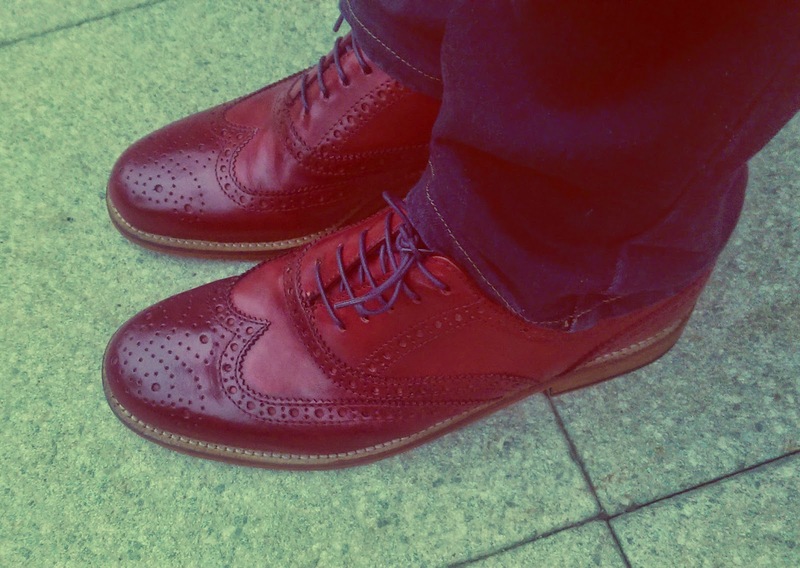 I haven't done a shoe post in a little while and when Last Shoe offered me my choice in a new pair of brogues, I leapt at the chance! Anyway, I digress, back to the shoes that will induce envy and rage in many of my readers. 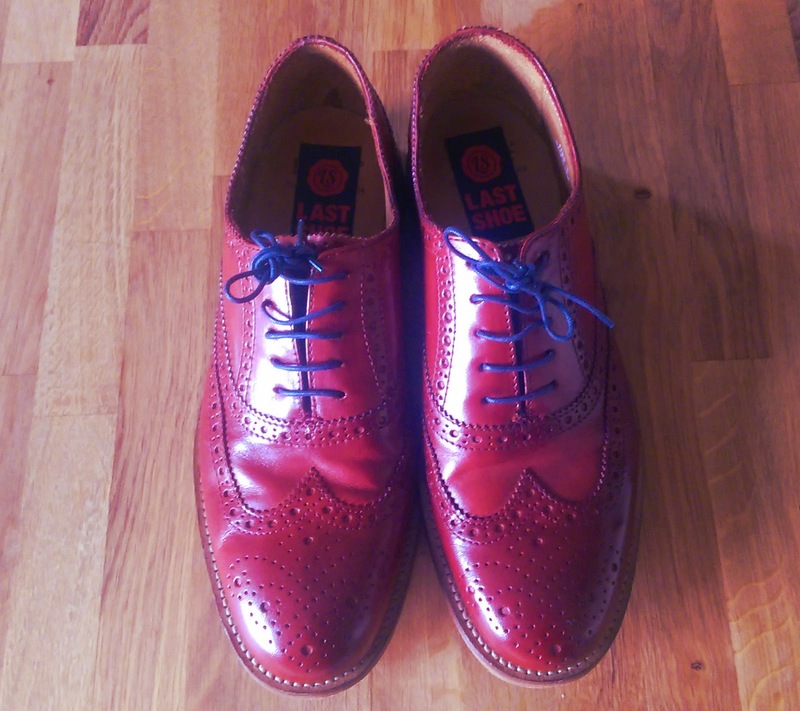 Last Shoe is a fantastic concept; they buy up cancelled, surplus or late orders from high street stores, rebrand them and sell them on for a fraction of the price to savvy shoe-shoppers like myself. They have a wide range of brogues, boots and shoes to choose from and are launching their women's and children's collections soon! 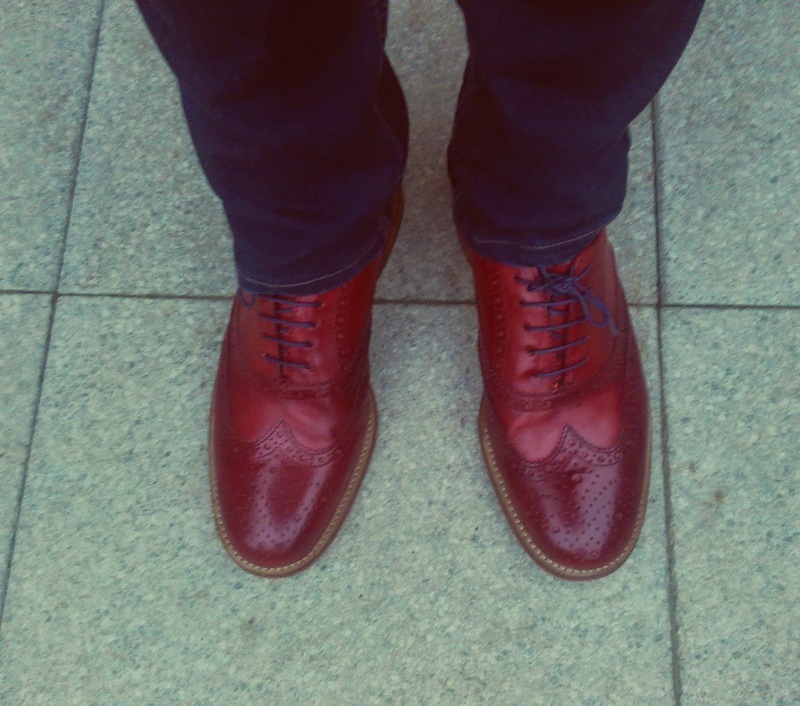 I chose the Bowie brogues in a rich deep red. 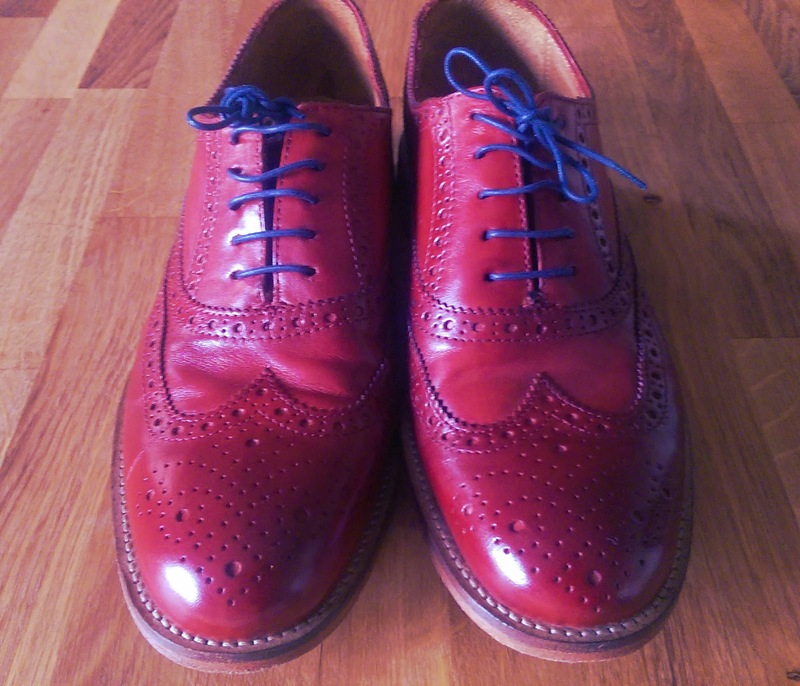 I have brogues in tan, brown and black so thought, f-it why not have a little fun with a coloured pair? 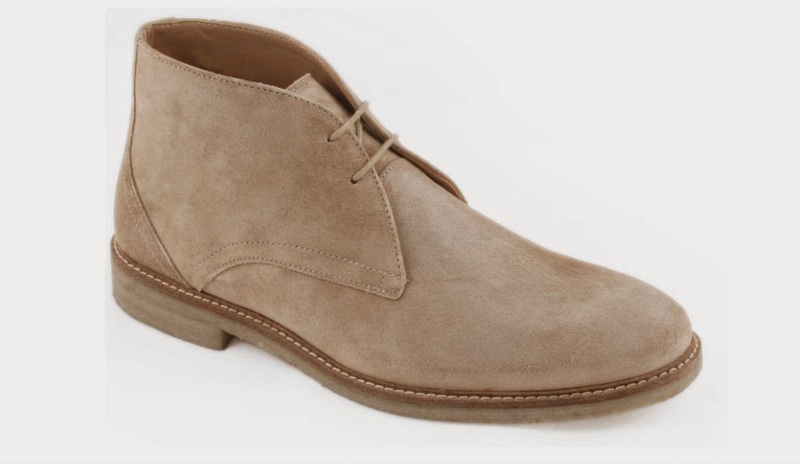 Bold enough to make a real statement, these will perk up your suit or wear them with your jeans for some off-duty style. 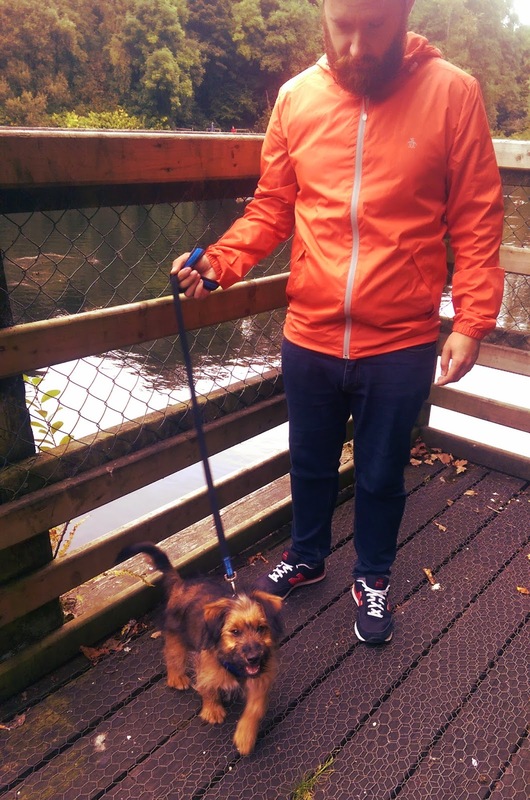 Naturally, I had to go out and buy myself a matching belt. 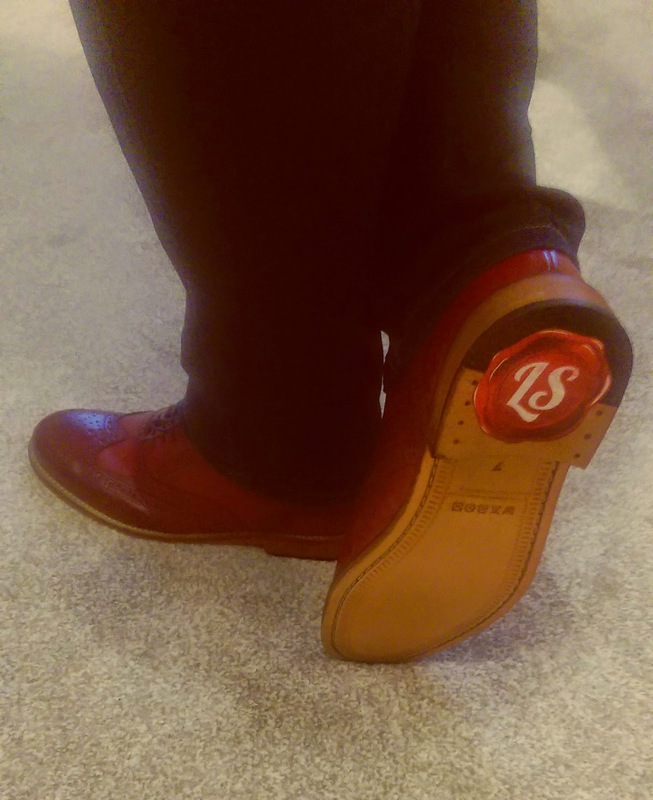 leather soles - take care on your first wear to prevent slipping! 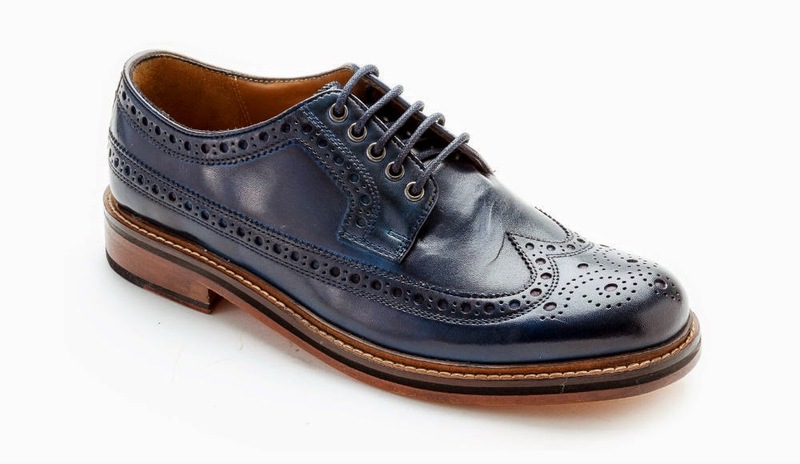 As a bit of a brogue fanatic, it's not hard to figure out which high-street store these were intended for and when you know the original RRP, you can't pass up a pair for only £45.00! Last Shoe is destined to make regular appearances on my blog so watch this space! 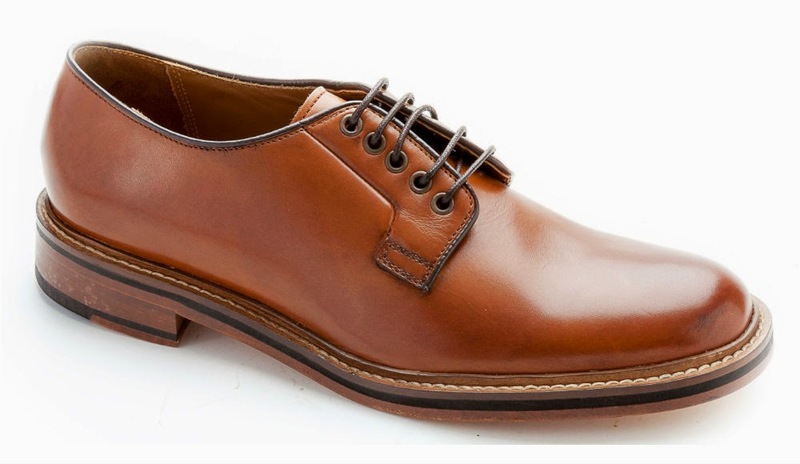 This is my first "alternative" pair of dress shoes so I'd love to know if any of you have something a little more unusual in your shoe collection. Leave me a comment below! Today's want is something all men should have. I'm talking about a good suit. I have said previously, I feel out of place in a suit. It is discomforting when something doesn't fit well and suits never fit me well off the peg. Sleeves, seat and in-seam all usually have to be adjusted and having so many alterations before you can wear it can take the appeal away. Regardless, I should persevere. 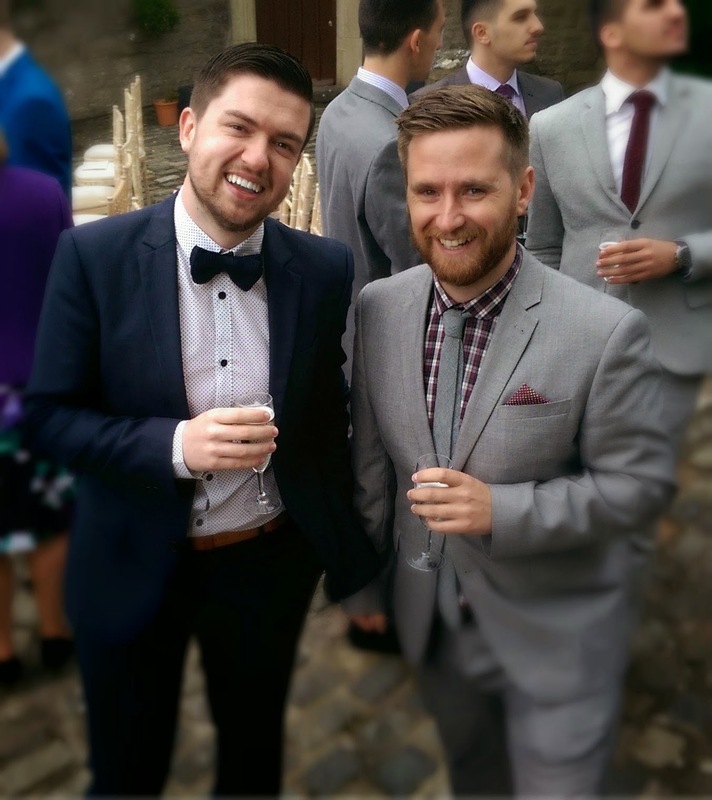 I own a light grey suit and while it worked at a summer wedding earlier this year, it's too pale for winter. I can't do a skinny suit as frankly, I'm not skinny. 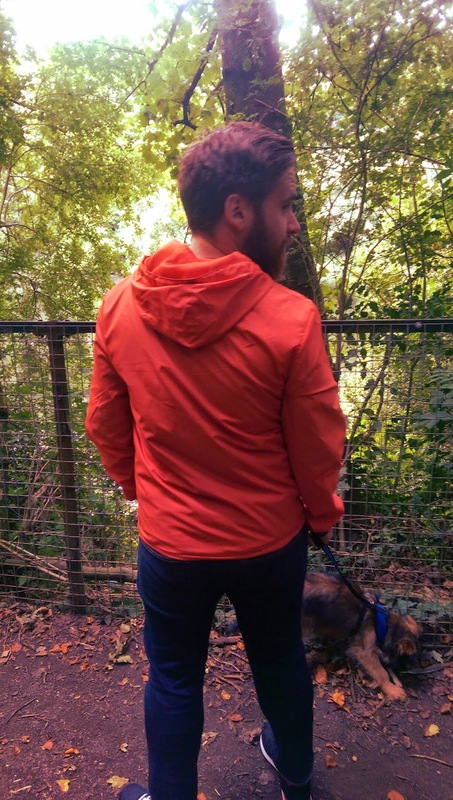 Even regular fit is sometimes tricky as I have large calves which make trouser fits awkward. Round shoulders and small stature also contribute to suit buying problems. Navy or dark grey preferably (black is for funerals) which means you can experiment with your shirt & tie combos to help break it up. Don't forget I have plenty of shoe options which will work with either colour. Throw in the fact it's down to £171 from £429 and its hard to beat. I just need a seamstress to take pity on misshapen me and get it to fit! I'm off this week so I might just have to go check out my virtual window shopping in real life and see if my instincts are correct!